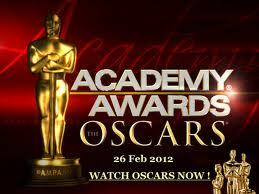 While watching last night’s Academy Awards ceremony, I was struck by the international tone of the winners. Particularly the French connection. I’m not sure what it means except this year’s Hollywood winners weren’t dominated by the usual Hollywood glitterati. For a welcome change. 2. The Tree In rural Australia, an 8-year old girl comes to believe that the spirit of her dead father inhabits a giant fig tree near her house. True Morgana Davies plays the part of the 8-year old girl. With Charlotte Gainsbourg. Directed by Julie Bertucelli. 3. Ball Joint A documentary centered on the lives of the orthopedic surgeons for the Brazil National Football team. Fake I made it up. 4. The Names of Love From France, the tale of a free-spirited woman who converts conservatives to liberalism by sleeping with them, until she hits a roadblock with a recalcitrant scientist. True, starring Sara Forestier and Jacques Gamblin. Directed by Michel Leclerc. 5. Trollhunter Learning that a government conspiracy has kept the truth about trolls from the Norwegian public. A group of film students sets out to uncover the facts. True. Directed by Andre Ovredal. 6. Feng My Shui Three rejected fraternity pledges seek revenge by posing as the frat house’s new interior decorators. Fake, I made it up. Summer movies. Which are real? Which are fake? Last Sunday the New York Times printed a brief synopsis along with release dates of upcoming summer movies. I read the list with horror and delight. Some seemed preposterous, others enchanting, several sound too stupid. Please find below six movie synopses. Three are real. Three are fake. Guess which is which. No checking Google to find the answers. 1. A Horse of a Different Color Twelve year old Amy fights prejudice on and off the field to follow her dream to race her white horse in a national tournament. 2. The Tree In rural Australia, an 8-year old girl comes to believe that the spirit of her dead father inhabits a giant fig tree near her house. 3. Ball Joint A documentary centered on the lives of the Brazil National Football team’s orthopedic surgeons. 4. The Names of Love From France, the tale of a free-spirited woman who converts conservatives to liberalism by sleeping with them, until she hits a roadblock with a recalcitrant scientist. 5. Trollhunter Learning that a government conspiracy has kept the truth about trolls from the Norwegian public. A group of film students sets out to uncover the facts. 6. Feng My Shui Three rejected fraternity pledges seek revenge by posing as the frat house’s new interior decorators. The other night, my partner Peg and I watched this 1957 Sydney Lumet classic about 12 jurors. All men. Who must determine the guilt of a young man accused of killing his father. All but three minutes of this 96-minute film take place in a 16 by 24 foot jury room. On a day that is predicted to be the hottest on record. Each of the three windows sits closed unless two men can heave them up open. The single wall-mounted fan remains still. And the stifling New York City heat permeates. They sweat and sit and talk; pontificate, lecture and question and accuse until they reach a unanimous verdict. Twelve men without names, only numbers. Most of them wearing white shirts ties and jackets. All walked in the room prepared to vote guilty. Except one. The story is a simple one with a strong message. Number 8, played by Henry Fonda, simply asks questions. Employing a mild mannered tone without affect or animosity. With fortitude and conviction, he is leadership in action. The unanimous vote unravels. The courage of his one voice requires examination. How many times have we served on committees or boards or juries or even amongst friends and family where a decision was made without a voice raised to oppose, to question, to discuss? How many of us went along because we didn’t want to take the time or waste time. Didn’t want to be the lone voice or weren’t sure of what we thought, so said nothing. Most of our group decisions aren’t made with a young life on the line. But if they were would we be ready and able to speak up if we never had before?